David Ortiz has a new role with the Red Sox organization, but sadly can no longer crush baseballs. 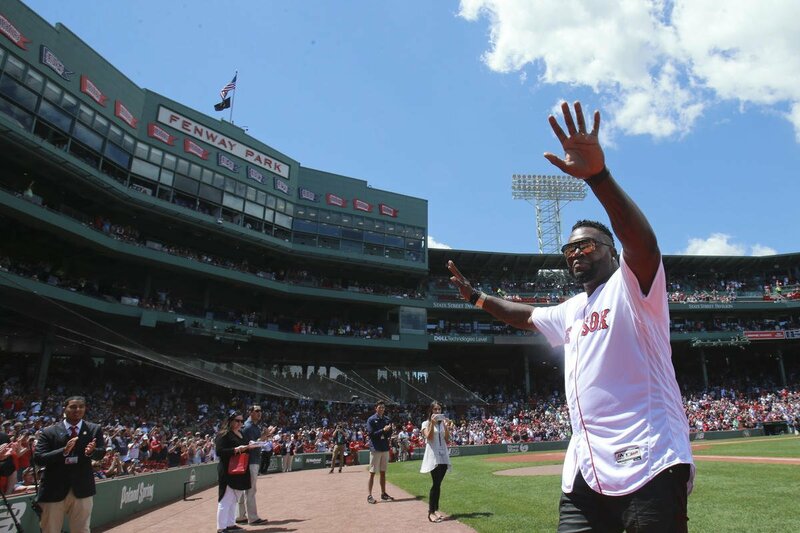 David Ortiz is finally back in Boston. The former slugger announced during the introduction of his partnership with Eastern Bank Tuesday afternoon that he and the Red Sox agreed upon a role with the team. The Red Sox made the move official earlier Wednesday afternoon. Announcing the new deal should "link [Ortiz] with the organization forever." "In his new role, Ortiz will act as a mentor for current players, participate in recruitment efforts, make a variety of special appearances for the club, and work in a business development capacity for Fenway Sports Management and its partners," read the Red Sox official statement. Ortiz will assume a role much like former teammates Pedro Martinez and Jason Varitek, who have contributed by assuming several different roles within the organization. "I'm going to be doing different things with the Red Sox," Ortiz said. "I'm going to be up in the front office. Doing some things like going seeing players. That's going to happen. At some point you're going to see more often around, things like spring training. Pretty much what the other guys normally do." "For over a decade and a half, we have gotten to know what kind of man David is both on and off the field," said Red Sox Principal Owner John Henry. "His skill and success on the diamond are rivaled only by his spirit, compassion, and big heart. I cannot think of a better representative for our organization. I'm happy we can now say officially what we have long known, David is family." "For 14 seasons, David was an instrumental part of this club's victories and achievements," said Red Sox Chairman Tom Werner. "He has delivered for us in every scenario, even the ones that seemed dire and hopeless - he never let us down. Like David himself, this agreement is unique and the first time we have made a commitment of this kind or this length to a player, retired or active. I am delighted we have a lasting partnership with him; one that brings to us the wisdom, experience, and character that has lifted this club time and again." Ortiz went on to add that he will help the Red Sox organization he "loves" in anyway he can. "Whether that's offering advice to a young player, helping convince a free agent that there's no better city to play in than Boston, or representing the club in the community and with its partners, it's great to be part of the Red Sox organization," Ortiz said. "It feels like I never left." It will be good to have Ortiz back around the team and in the front office, even though he will not be designated hitting at any point.